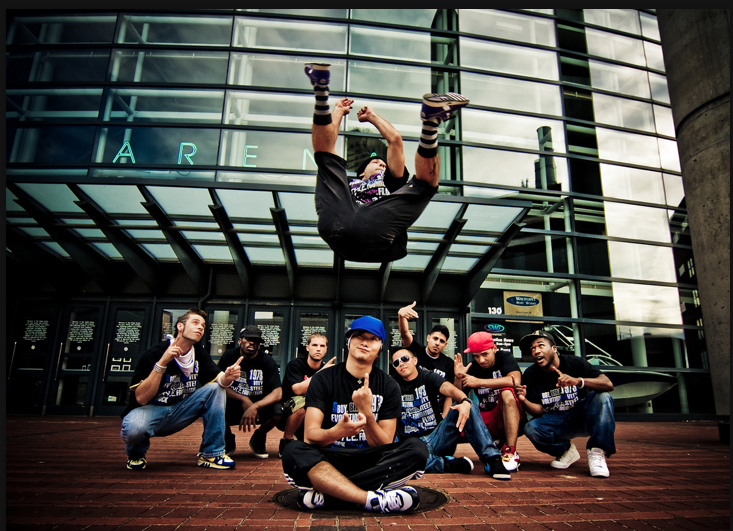 61Syx is a collective of dancers who believe in empowering the community through the different styles of Street Dance. By using HipHop’s “In the now – movement” mentality to build character, confidence and individuality. We believe in passing down the legacy of Breakin’(breakdance). The various styles of street dance carry many lessons to be learned about patience, drive, dedication, and originality. One of the core values of this dance is to create a free self expressive art form connecting yourself with the music. As your journey develops, you will find that each of these dances help exercise your mind, body, and soul. HipHop Culture is one of the most popular sub-cultures today, and has influenced millions of people across the world. We believe in celebrating and passing down it’s original dance styles in it’s purest form. While proving that the lessons you learn while dancing know no boundaries, and apply to everyone. 61Syx Teknique is Grand Rapids PREMIERE Studio for HipHop Culture. Focusing on the art of Breakdance, we provide both showcases, and instruction. By remaining an active part of the HipHop community and educating themselves from the generations before them, 61Syx Teknique has grown to compete, win, host, and judge events across the nation. As well as perform for concerts, festivals, colleges, sporting events, private parties, and more. Our classes are for students of all ages. Weather you’ve been dancing for a decade, or are new into the Breakin’ and HipHop Culture. 61Syx provides a true school, all age environment for students to grow within the Community of Street dance. You guys were great at UW-La Crosse!! i am looking to join a dance crew. are you looking to take on new members?